Update: I won a Mozy Back the F:\ UP! How to market to the Geeks is one of the most uncountdownable of conundrums. 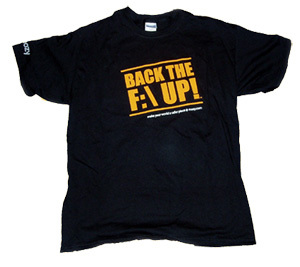 Data storage company Mozy seems to have hit the nobbly nail right on the head with its must-have haute couture: “BACK THE F: UP!” T-shirt.